Applications with high output requirements call for professional power supplies capable of reliably handling power peaks. 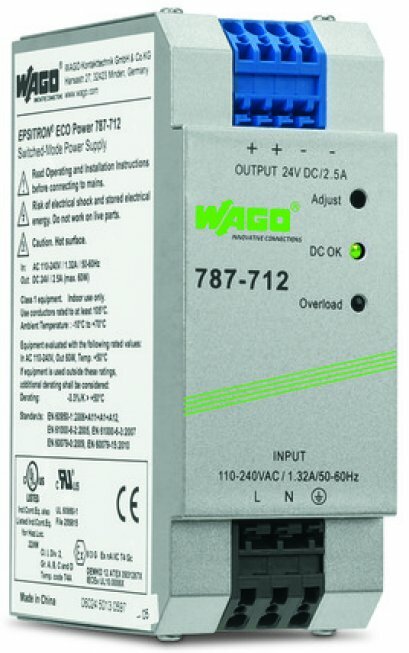 The PRO series of power supplies is ideally suited for such applications. Applications with high output requirements call for professional power supplies capable of reliably handling power peaks. 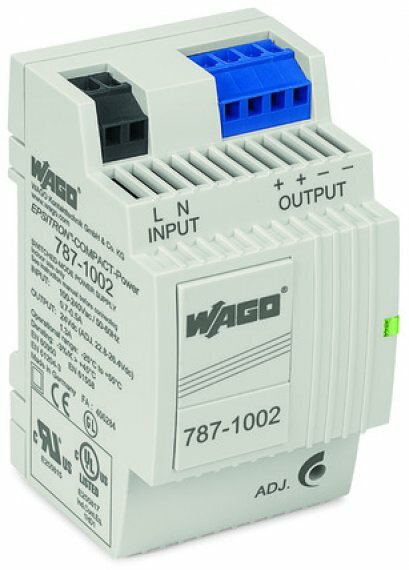 These applications call for PRO power supplies, which provide 24VDC with nominal output currents of 5A to 40A in a slim vertical- or horizontal-mount housing. An integrated PowerBoost function provides 200% of the rated current for up to 4 seconds, enabling start-up or switching of capacitive loads, valve clusters or motors. The TopBoost function provides sufficient power with a multiple of the rated current for up to 50ms, permitting use of standard circuit breakers for output protection. 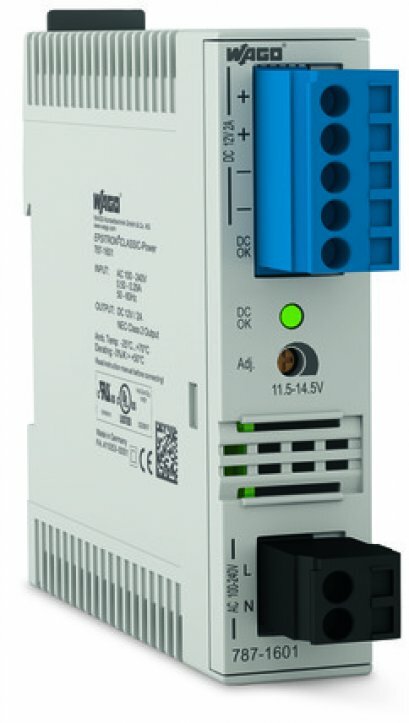 An optional LineMonitor provides easy parameter setting and monitoring of input and output. This eliminates redundant devices, such as phase and frequency monitoring units, as well as operational hour meters in control cabinets. 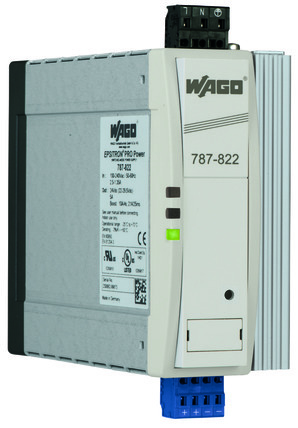 The PRO family of power supplies set a new standard in energy-efficiency with up to 93% efficiency and a stand-by mode. Save up to 50% more cabinet space with slim PRO Power Supplies. The snap-on DIN-rail mount design maximizes existing space via upright or horizontal mounting. CAGE CLAMP® Spring Pressure Connection Technology provides fast, vibration-free and maintenance-free termination of solid, fine-stranded or ferruled conductors. Clearly labeled, pluggable female connectors allow for easy cable pre-assembly. Connection via CAGE CLAMP® connection technology; PowerBoost, up to 200% output power for 4 seconds; TopBoost, 60A additional reserve for 50 ms; LineMonitor for parameter setting and input/output monitoring (optional); Robust housing, can be mounted either in an upright or horizontal position; Up to 93% efficiency; LED indication; Adjustable output voltage; RS-232 interface (optional); Configurable, 24V/25mA active signal outputs.